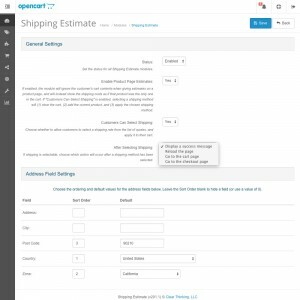 This extension allows your customers to retrieve a shipping estimate from anywhere on your site. 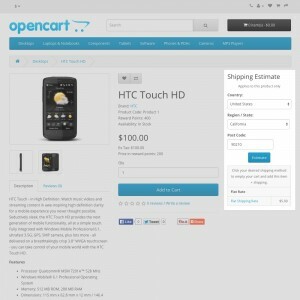 It pulls the same data as the checkout shipping data, directly from your active shipping extensions. 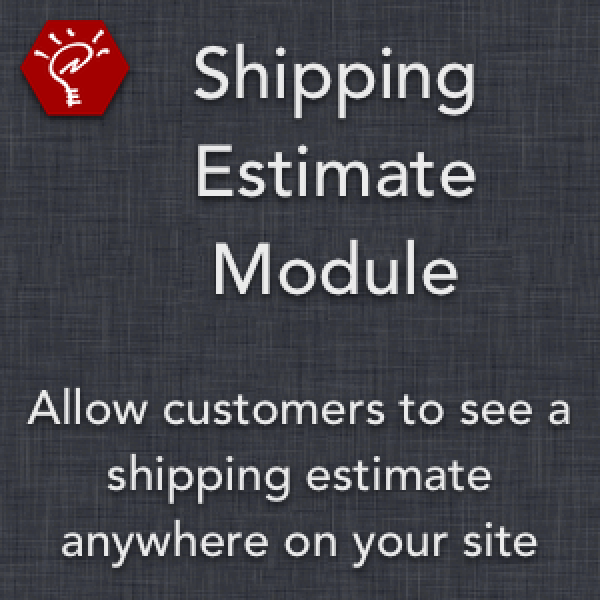 The customer can also select their shipping method directly through the module. 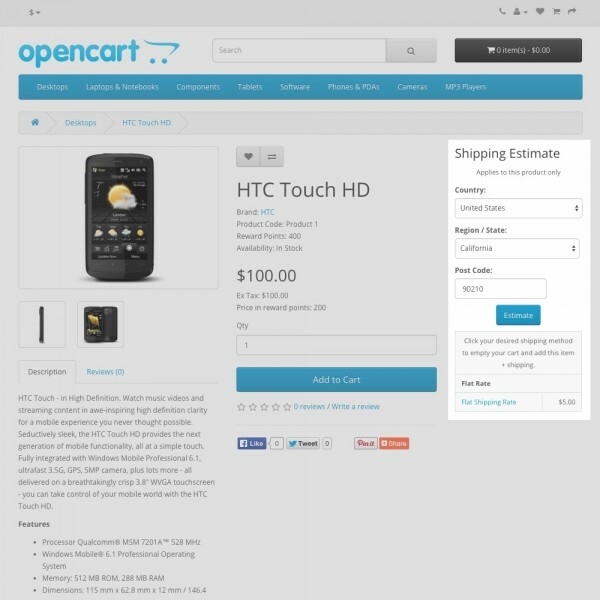 Works with all installed shipping methods that are listed in Extensions > Shipping. Choose which fields to display, as well as their order of appearance, directly through the admin panel. 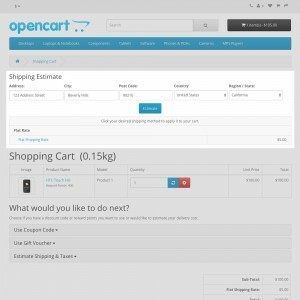 Includes Address, City, Postcode, Country, and Zone fields. Set the default location within the module settings. If logged in, the module will properly use the customer's address for the default location instead. 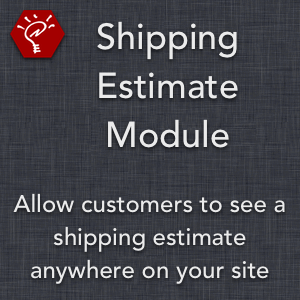 Includes a setting for single product estimates when the module appears on a product page. 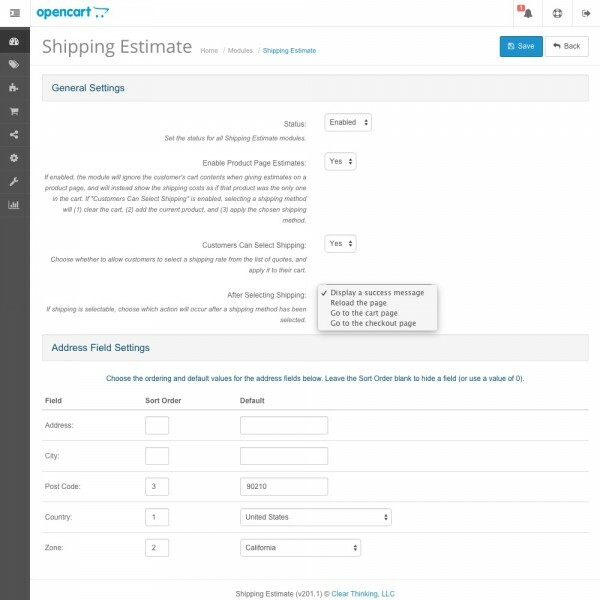 If enabled, shipping estimates will be for that product only. Customers can also empty their cart, add the product, and apply a shipping method all with a single click.